Is This the Best Calgary Flames Team Since 2004? 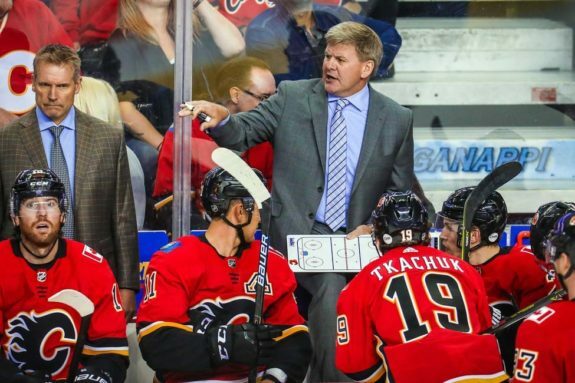 Is This the Best Flames Team Since 2004? 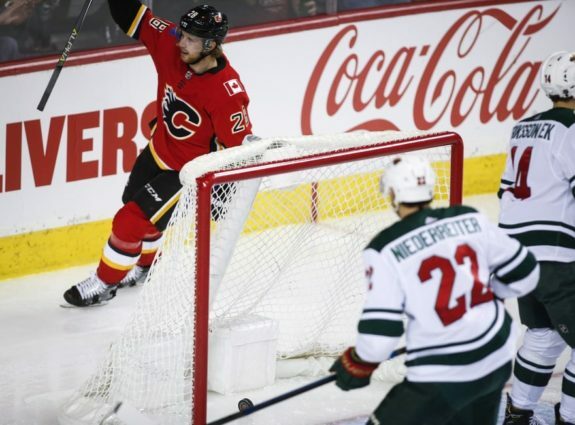 No, this is not a replay of 2014-15 season where the Flames seemed to rally for almost every victory and featured players such as Dennis Wideman, Kris Russell and Jiri Hudler playing key roles along with Monahan and Gaudreau en route to the NHL playoffs. Nor is this 2004, where Miikka Kiprusoff was seemingly shutting out his opposition every second game while Jarome Iginla and Martin Gelinas came up with clutch goals all the way to a Game 7 loss to the Tampa Bay Lightning in the Stanley Cup Final. This current Flames team is quite different in a very good way, and it’s proven so far this season with their 20-10-2 record. This is more of a two-part answer. The big boys have stepped up and led the way almost every night. Gaudreau (42 points), Monahan (38 points), Matthew Tkachuk (37 points), Elias Lindholm (34 points) and Mark Giordano (32 points) have been the offensive catalysts for the Flames night-in-and-night-out. You’ll win a lot of games where each of your top players are producing and when you’re the only team with five players with 30 points or more in the middle of December. Lindholm has fit in beautifully on the Flames’ top line and has brought a skill set that greatly suits his linemates in Monahan and Gaudreau. But the offence doesn’t stop there. The Flames have at least a goal from everybody except for Michael Stone, Dalton Prout and Ryan Lomberg. That’s 20 out of a possible 23 players with one tally or more on the season, and much of the time, they’ve been crucial goals such as Andersson notching his first to bring the Flames within one, or Alan Quine’s beauty against Nashville on Dec. 8 to put the game away. To put it in perspective on how good the Flames’ secondary scoring is, they’ve won 20 games with James Neal only putting up three goals and six points in those 32 contests. The Flames lead the NHL with the most wins when trailing after two periods. They won their seventh contest in this fashion against the Flyers, and their comeback ability has proven to be a key component to their game, much like the find-a-way-Flames of four seasons ago. The only difference is the Flames of now are usually dominating these games and finding ways to win in the third period. They’ll come at teams in waves and score in bunches, which is why I think their play is sustainable; a few years ago, Calgary would hang around in games they were usually outplayed in and then find a way to tie through regulation and at least get a point. This isn’t the case with this year’s team. Case in point is the fact that the Flames are tied for the second-most goals in the league with the Toronto Maple Leafs at 113, 15 back of league-leading Tampa Bay. I can almost guarantee you the Flames are not near the top of the NHL without the play of captain Mark Giordano and goaltender David Rittich. Giordano has had a Norris Trophy-like season three months into the campaign with his four goals and 32 points in 30 games. He is on pace to smash his previous career high of 56 points set back in 2015-16, and he is also tied for the team lead in plus/minus with defence partner T.J. Brodie at plus-18. Giordano is regularly making contributions at both ends of the ice, and if he keeps up his play, he’ll have to be one of the Norris Trophy candidates. As for Rittich, the only word I can think of to describe his play is spectacular. Rittich, or better known in Calgary this season as “Big Save Dave”, has appeared in 13 games, gone 9-3-1 and posted a goals-against-average of 2.31 and a save percentage of .921, with one shutout to his name as well. Without Rittich, the Flames could very well be in the bottom half of the league due to the struggling play of starting goaltender Mike Smith. There were many doubters about Rittich, including myself after last season when the Flames fell out of a playoff spot down the stretch, but it is very clear that the 26-year-old Czech goaltender gives his teammates confidence when he’s in net. Should Smith figure out his game and Rittich continue his stellar play, the Flames will be a very tough out for any team.